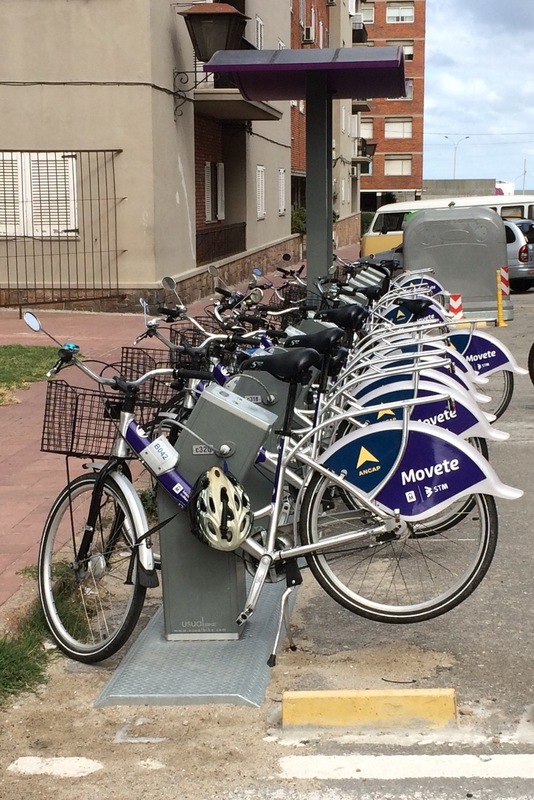 Montevideo is a very bicycle-friendly city: mostly flat (just some minor inclines here and there) with street surfaces in relatively good condition. It’s not Amsterdam, but it seems that drivers, bicycle riders and pedestrians are peacefully co-exist on its fairly leveled roads. The famous ramblas (promenades) are perfect for riding a bicycle. So, where a city visitor can rent it? Some hostels provide them either for additional fee or even for free. However, for those who like us are staying in an apartment there are just a few choices. 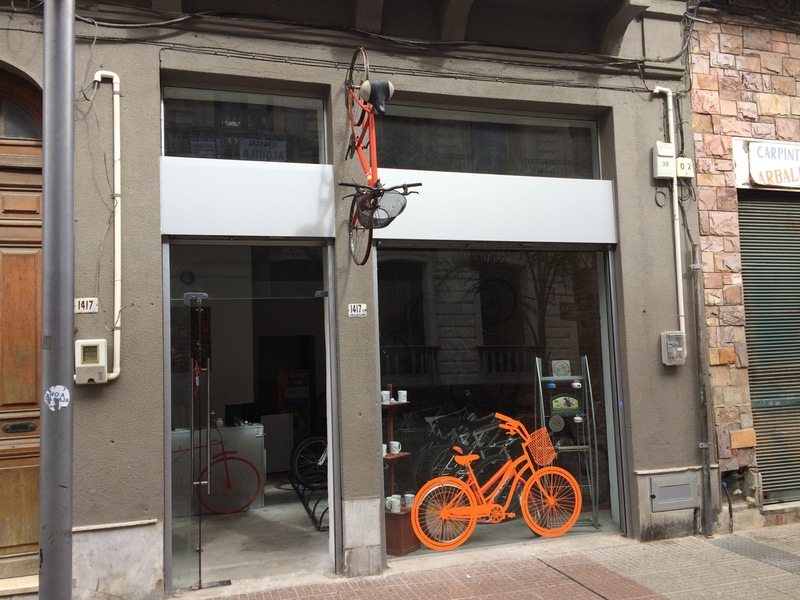 Orange Bike (ORANGE Alquiler de bicicletas en Montevideo), a bicycle rental company, is located in Ciudad Vieja at 1417 Perez Castellano. We rented couple bicycles from them. They were in Ok condition (along with the rest of the bicycles available there): not new, but everything worked well. The lady at the office spoke very good English. The renting process was very simple: she asked our names, address and email, took the money and we were off. Quick and easy. Working hours were not clearly listed anywhere. 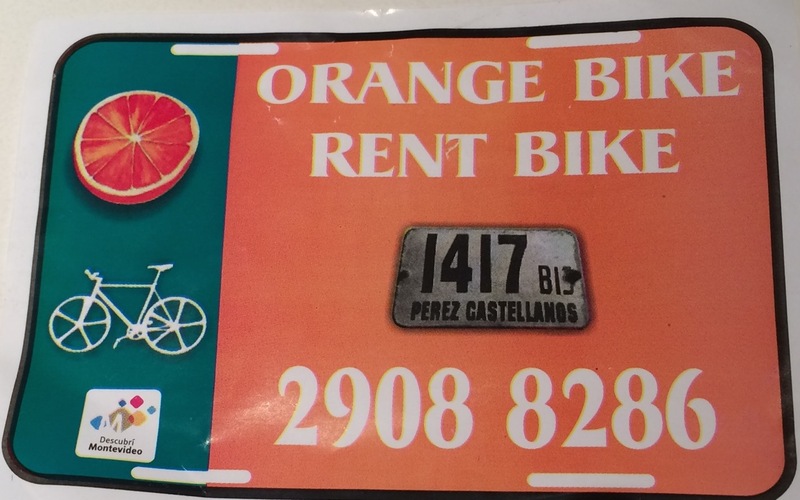 We were told that Orange Bike is closed on Sunday, but we can call and someone would pick up bicycles from our home. We followed this advice and it worked pretty well). For the rest of the week, I would recommend calling and ask since the times listed on their Facebook page are definitely not applicable. The page shows that Orange Bike is open Mon – Sun: 9:00 am – 9:00 pm, but on the day of our visit, Saturday, they were closing around 5:30pm. Bicycle booking is also available via phone. They will deliver bicycles to your location and will pick up too when the time is up. Our apartment was very close to Orange Bike office, so they picked up bicycles for free. I am not sure if delivery/pick up is free everywhere in Montevideo. In a case of tire puncture or any other problems with the bicycle, you can call them and the technician would come to make repairs (obviously, for a fee). 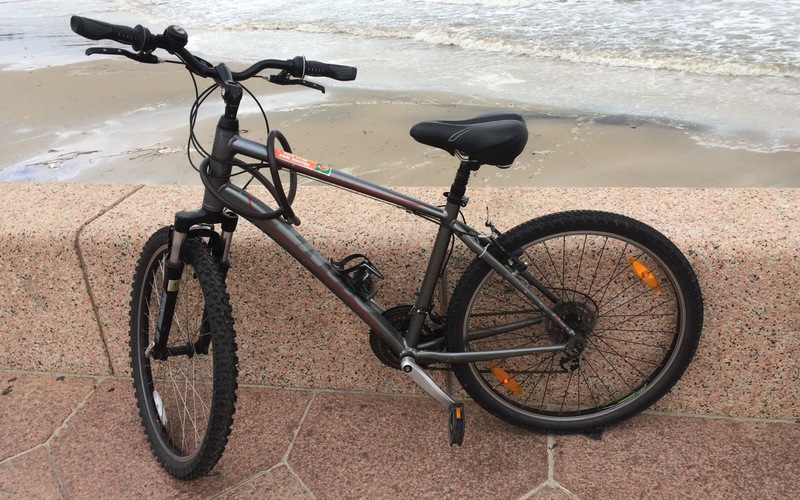 4 hours is the minimum amount of time you can rent a bicycle for. Orange Bike accepts cash only. 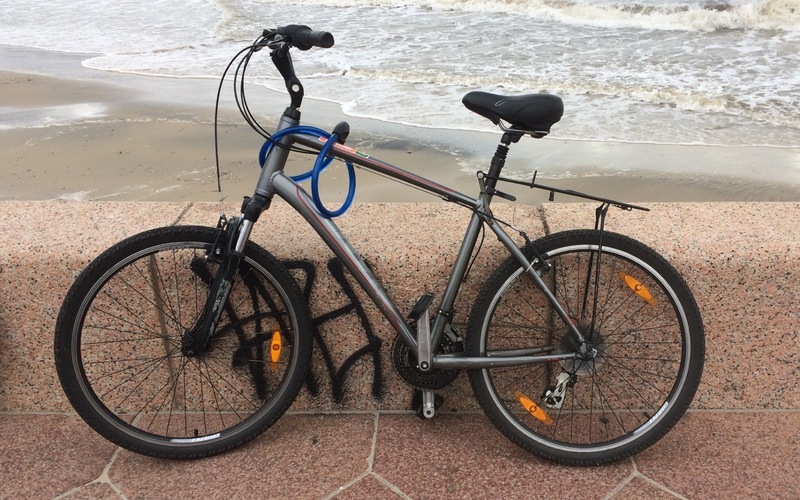 Not really heard much about Montevideo but we love off the beaten path places to explore and have found that bikes are one of the best ways to really get a feel for a city and also see a lot. Looking forward to exploring South America and calling by Uruguay! Do not miss Montevideo on your South American trip :). It is often undervalued but, in reality, Montevideo is a cosmopolitan place with the strong resemblance to southern European cities. Hi, Jessica, great to hear from you. Sorry about your experience in Bolivia. Here, in Montevideo, the weather is more or less pleasant year around (summer could be a little bit hot especially with blazing sun during the day, winter could be chilly with strong winds, but it is never too extreme) and there is no wet season. My personal favorite time is from the end of March through April: gorgeous weather, the tourist season is over, low prices, empty beaches. September/mid-October is not bad too, but it could be too cold at night and the ocean water is colder too. Cheers!